Safe Spring Cleaning Tips! | I'm Oil In! It’s officially Spring! Well, that’s what the calendar says, but SOMEONE forgot to turn off the snow machine, at least in NE Indiana! I’m ready to retire the wood stove for the season and throw open the windows to allow fresh air to fill the house. It may be a few weeks yet, although my Southern friends and family have been posting pictures of gardens and beaches for some time now. But back to cleaning…. For some, spring cleaning is a necessary evil to try to avoid. For others, it is a welcome break from the winter and a chance to start fresh. The sunshine brightens our spirits and rejuvenates us. We want everything as fresh as the great outdoors! Before you go grabbing for the nearest toxin, I mean cleaner, let me tell you about Thieves Household Cleaner! It is the answer to all your cleaning needs, it contains NO toxins, and it is safe for your family and pets. 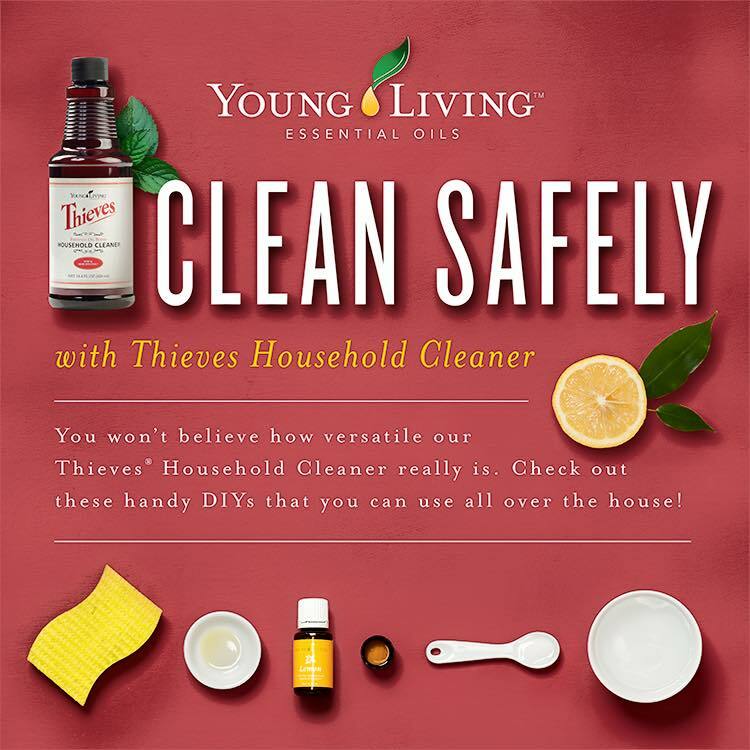 The all-natural cleansing and disinfecting power of Young Living Therapeutic Grade™ (YLTG) Thieves and lemon essential oils. See the tips and dilutions below, and get cleaning! This entry was posted in Toxin-Free Living and tagged Spring Cleaning, Thieves Household Cleaner, Toxin-free living. Bookmark the permalink.